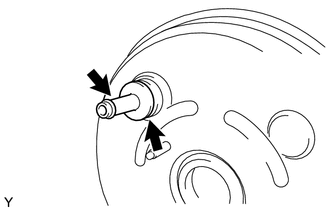 (a) Install a new grommet onto the brake booster assembly. (b) Install the vacuum check valve onto the brake booster assembly. 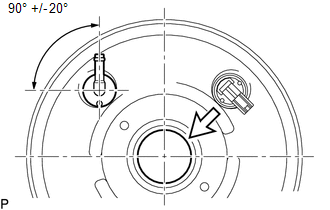 (b) Install brake vacuum check valve assembly to the brake booster assembly as shown in the illustration. (a) Install the push rod clevis. (b) Install a new gasket onto the brake booster assembly. (c) Install the brake booster assembly with the 4 nuts. (d) Connect the vacuum hose to the brake booster assembly.